Somehow, most of the Stuff I keep is paper. You can stash a whole lot of paper in a one foot by one and half foot moving box. Like, thousands of pieces of paper. Needless to say, I get emotionally burned out pretty quick when I'm trying to purge. 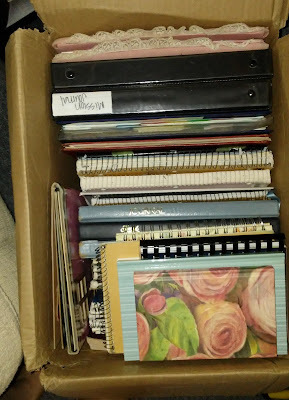 I opened a Box with the intent to get rid of the stuff inside only to find my childhood journals and some beautiful blank notebooks that I love (and want to fill up with writing). I can't get rid of those! Opening that Box triggered some depression (including crying). It can be demoralizing to have a strong urge to change, but are not be able to change very fast. I've been pushing to get rid of Boxes, Stuff, and Paper faster than I've ever done since we returned from our Epic Summer Road Trip. I realized that our lack of tall bookshelves is actually a major impediment to emptying Boxes (and subsequently, getting rid of the Stuff in them). After a few days of feeling stuck, I decided that I just need to unpack the blank journals onto the shelf next to my bed. I'm obviously not ready to deal with the journals. 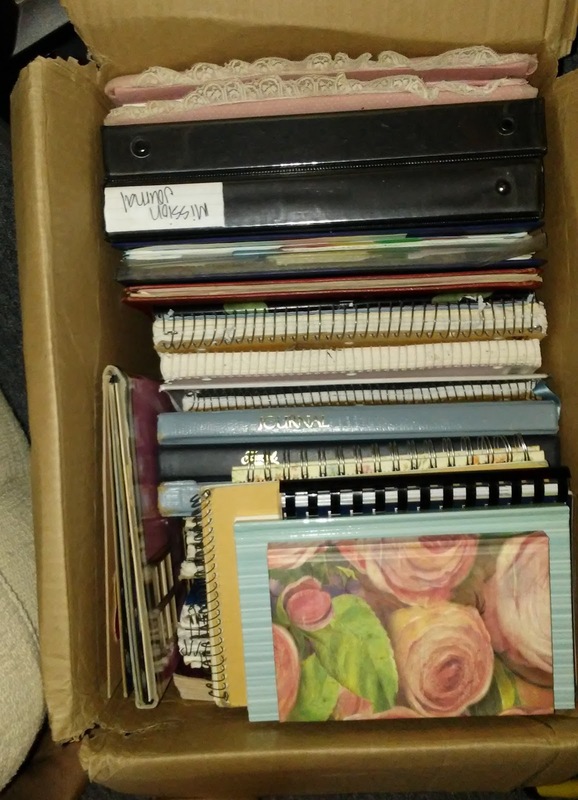 I'm getting better at getting rid of stacks of Paper in other Boxes, so I'm giving myself some grace on this particular Box. When you are trying to change something about yourself, what gets you stuck? categories: 50% less., de-cluttering., depression., goals., organizing.